History of Beer, The Third! The tradition of going to your local watering hole after a hard day’s work goes back a long way. 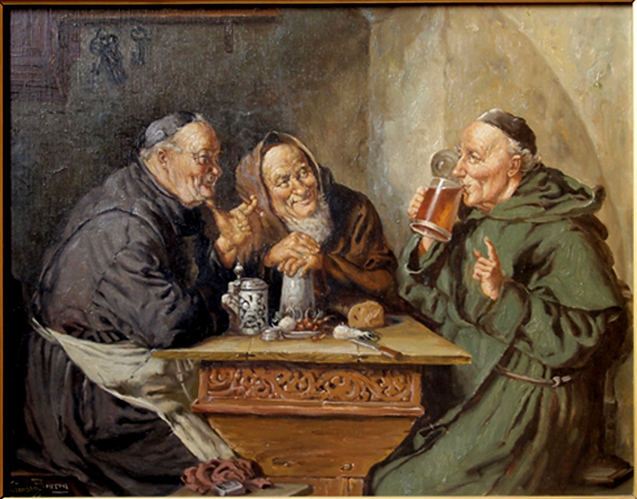 In the Middle Ages beer was brewed in monasteries and convents and served to traveling pilgrims. As this practice evolved into serving the beer to the local peasants as well, taverns and inns sprang up all over the countryside. In the olden days taverns served only beer and food, while lodgings, food and rather wine were provided in inns. Even though nowadays these differences have disappeared, the local watering hole is still a place for the members of a neighbourhood to get together and discuss all sorts of local gossip and politics! The different cultures on the European Continent and elsewhere had developed different standards of acceptable drinking behaviour. 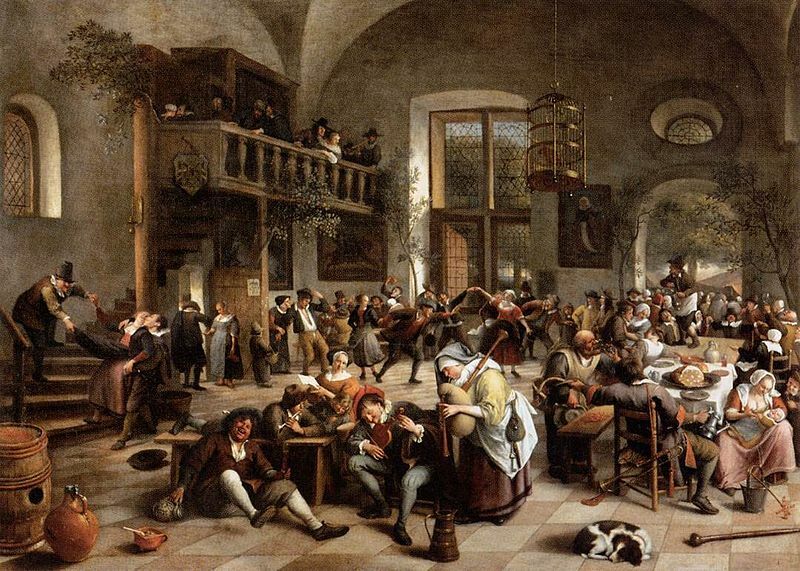 While some places became synonymous with illicit trade, gang meetings and all sorts of rough dealings, others developed a reputation for orderly citizen meetings, political activities like voting and promoting social life within a community. If you have just joined us and would like to read more about the history of beer just follow this link and indulge! For a considerable amount of time beer brewing remained a homemaker’s activity, performed by the women of the household. Even though the monks in the monasteries had perfected the processes, it was up to the women of a household to have a steady supply available at home. But very quickly those in power realised there was money to be made with this popular drink and started shifting the process out of the home into commercial production facilities. By the 14th and 15th centuries it had become an artisan product, with monasteries and pubs making their own special brews. One of these monasteries, the benedictine Weihenstephan Abbey, puts claim to being the oldest and still operating monastery turned brewery in the world: a document regarding the tithing of hops dating 768 AD indicates the use of hops for beer brewing by the local monastery. In 1040 the monastery was official licensed to brew beer by the neighbouring city of Freising, which makes it the official date. During the industrial revolution in the 18th century the introduction of the thermometer and the invention of the hydrometer enabled the makers of beer to increase the efficiency and reliability of the process. But even then there was a lot of improvement, as the production of the malt left a very smoky taste in the beers, which was universally thought to be unpalatable. Except by the extremely desperate or the locals! The invention of the drum roaster in 1817 and the discovery of yeasts by Louis Pasteur in 1857 finally paved the way for thousands of litres of liquid gold to be produced and sent out into the world. Despite the advances in technology and transportation, locally made beers still make up for the majority of beer sold in the local pubs. The pubs moved from making their own brews to being tied to the local brewery, selling only their range of beers. Your trips around Germany will give you a chance to compare them and find out whether it’s true that northern beers tend to be drier and hoppier, while maltier, sweeter beers are found in the south. That leaves midrange beers in the middle. And how and where do the Germans take their favourite drink? 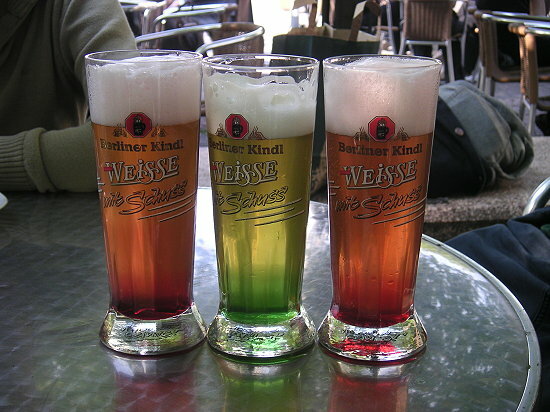 Stay tuned to find out about the German way to imbibe! Even though Germans might not have invented beer in general, they’ve certainly cornered the market reputation wise. Travelling through Germany you will see lots of evidence of that and we thought a little bit of background information might be of interest. It seems that some kind of beer or alcoholic beverage has been made by every farming culture in the world from the very beginning of people settling down and farming the land. 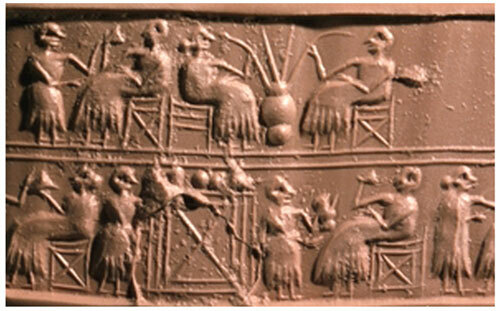 Evidence dating as far back as 5000 BC has been found suggesting that beer has been part of the domestic food production processes that early on. While it might have been only made for domestic use then, nowadays it’s a global market producing more than 133 billion liters per year and making total global revenues of $294.5 billion in 2006! 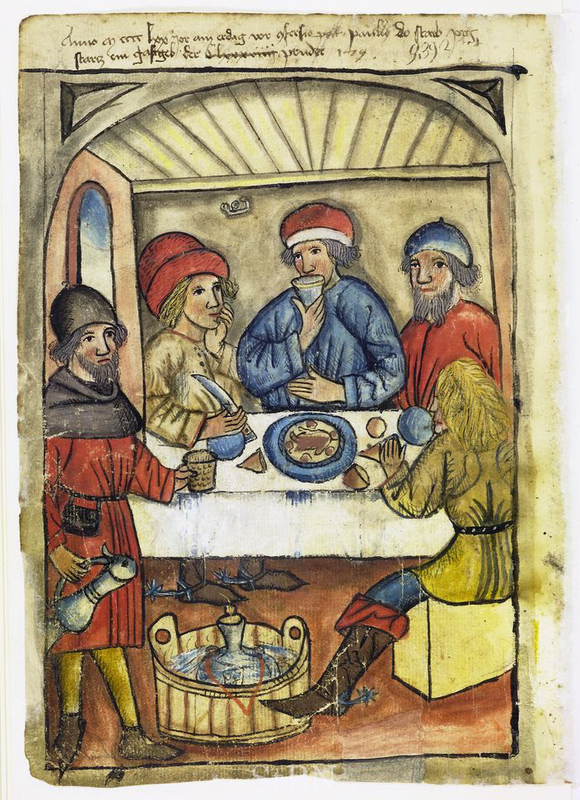 The initial production was more of a hit-and-miss operation which relied on wild yeasts flying through the air, but it very quickly became the first BE task to be accomplished by harnessing specific yeasts, by-products of bread making, and controlling the process to achieve consistent results. You’ll be happy to learn that these early brews nowadays would find their way only to the feed troughs, if the pigs got lucky: they were of a strong, porridge like consistency and often were drunk through straws to avoid the bitter residues and other lumpy bits. It took a long time to achieve the perfection of it and standardise the production: in Roman times wine was still the preferred drink of the masses. But by the Middle Ages popularity had increased, as the drinking water was of such dubitable quality, that even children drank beer to avoid getting ill. During this period the preserving quality of hops was discovered, which enabled larger production and export it to the world. 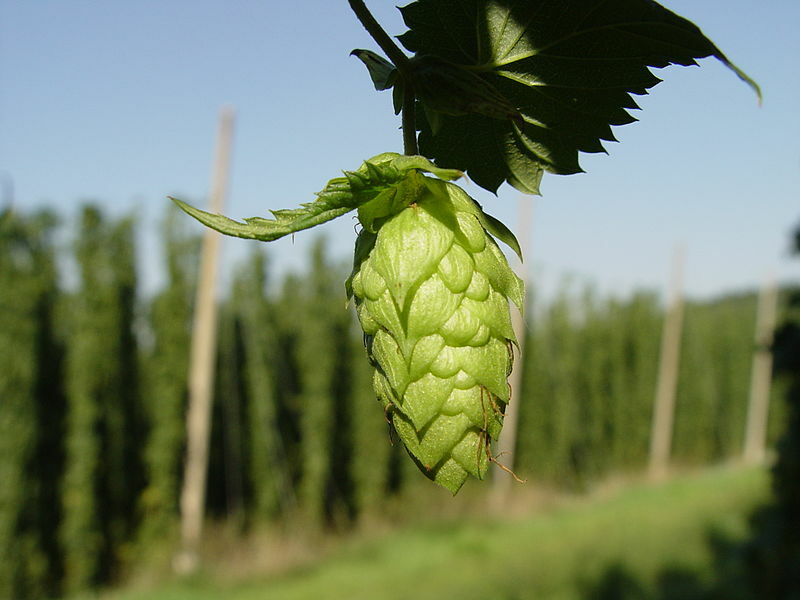 Not to mention the fact, that hops is supposed to have a calming/soothing effect on children! Your tours through Germany will give you plenty of opportunities to sample the local specialties, so join us next time to find out more on Germany’s famed brews! Having presented a range of savoury specialities to enjoy, you might like to know what sweet little delicacies await you in Berlin’s cafes, restaurants and bakeries. Let’s start with a Berliner. 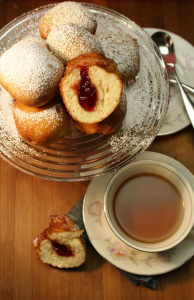 Short for Berliner Pfannkuchen, Berlin pancake, it is a yeast dough donut without the hole and a scrumptious jam filling. Traditionally they were served on New Year’s Eve as well as on Carnival Monday and Tuesday. While you might safely eat them from a bakery, beware of friends offering gifts: a practical joke during carnival time involves a donut filled with mustard served on a plate with ‘normal’ ones. The German version of Russian Roulette! Another treat are pig’s ears! 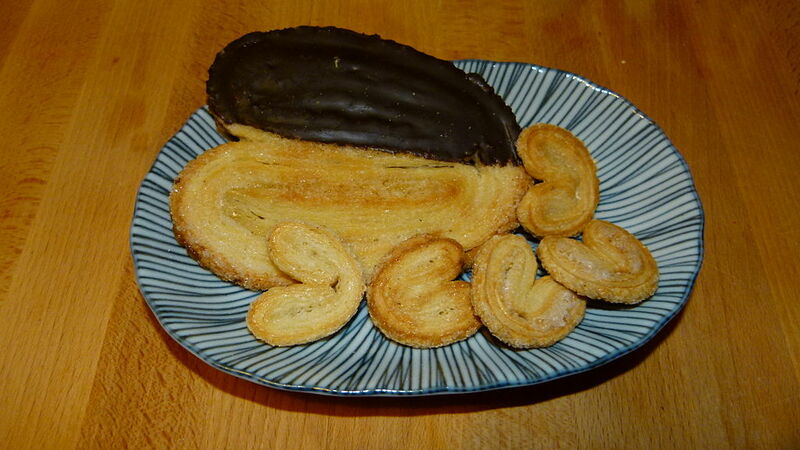 Schweineohren, made from puff pastry layered with sugar and cut into thin slices which bake into a heart shape. Well, that’s the romantic view of it, originally it was called Schweineohren because the baked product resembled the outer ear cup of a pig! Anyway, sprinkled with coarse sugar or one half coated in chocolate they are a delicate treat to have with your cup of tea. And while we’re on the topic of light sweets, nothing lighter than a sugar coated kiss: Baiser, a single serve of meringue! Perfectly baked it will melt in your mouth leaving you sated and craving more at the same time. And that’s on top of the dozens of specialist shops selling you truffles and fancy chocolates. So, if you feel your energy waning on your tour through Berlin, drop into any of the local bakeries, enjoy the treats and get your sugar-fix. And if you know of any other German specialty you’d like to find out more about, send us a message and we’ll get on to it as soon as possible. Ever since Berlin rose to European metropolitan heights in the 18th and 19th century, it has been a centre for the arts. As the city and its creative inhabitants grew in numbers, it not only attracted traditional musicians, painters and architects, but also the anarchic alternative elements in politics and the arts. Very quickly they established a network of cafes, galleries and music clubs, discussing and formulating socio-economic criticism and alternative lifestyles. By now the city’s reputation of being a centre of sophisticated and refined arts has moved towards pushing the boundaries of the arts. For many visitors to Berlin, who are interested in the alternative styles of music of the 20th century, this is its signature song. 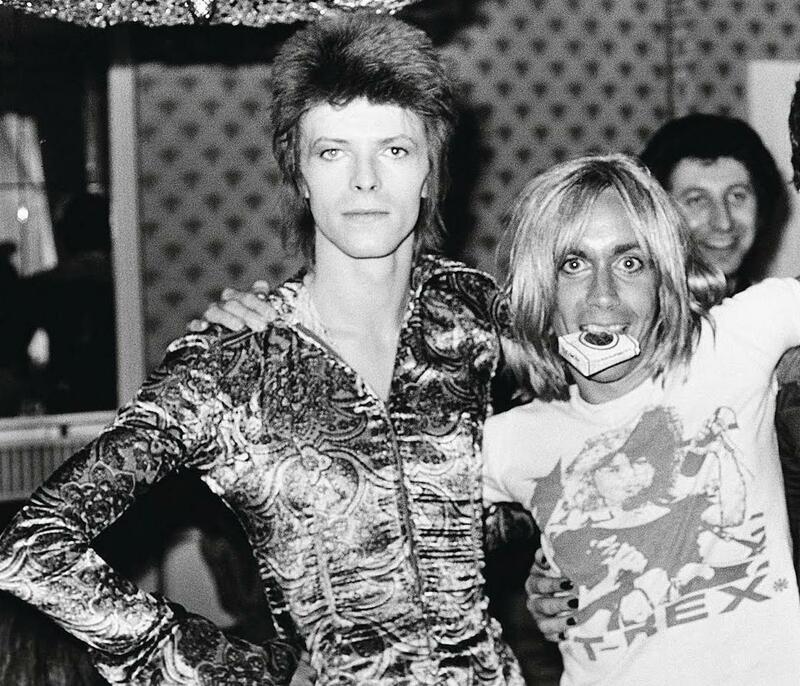 Recorded by Iggy Pop, with background vocals by David Bowie and loosely based on a Jim Morrison poem it embodies to a lot of people the perception of social outcasts (Punks for example) and the desire to change modern life and its restrictive discriminating views. As some Kiwis might remember, in 2009 Iggy Pop recorded it again together with kiwi musicians who had auditioned online. This was part of an advertising campaign for a broadband internet provider and everything, from the initial auditions to the final recording was done through the net. Interesting how fringe art becomes main stream after a while! It’s hip to be hop! 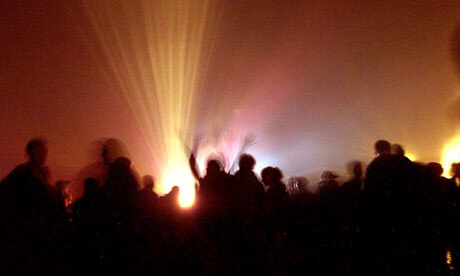 Nowadays Berlin is again known and loved for its cutting edge position in the music market. As a development from the Krautrock era, all variations of electronic music can be explored and audio- visual boundaries pushed. This article explains very eloquently why Berlin has never lost its allure to the musically minded and attracts a lot of kiwi musicians as well. Got time? Plenty to do! On any given day of the week, there are enough gallery openings, music shows and all sorts of live acts in small and larger venues on offer in Berlin to keep anyone busy for a month! If the guided tours through Berlin with the Cosmopolitan North tour have left you with energy to spare, ask your tour guide for help to browse through one of the local newspapers or entertainment magazines and advise what’s on offer on the day. Oberstdorf is not only home to a huge range of summer and winter outdoor activities, but also a restaurant called Dampfbierbrauerei. Literally translated it means steam beer brewery. 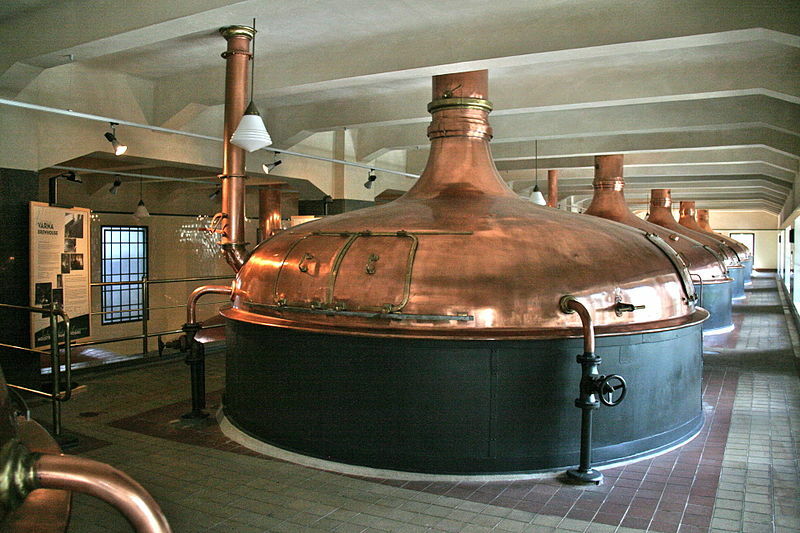 The term ‘Dampfbier’ was used for beers brewed at higher ambient temperatures than normal, around 18° – 20°Celsius. Fermentation would be so violent and frequent, that the popped bubbles create a gaseous layer above the fermenting liquid. Hence the term ‘Dampf’, steam. As it was a so called poor people’s beer and used by-products of the wheat beer process, it’s production had declined by the 20th century. But, in the general movement of reviving old traditions, some breweries have started making it again, but using high quality base products and achieving remarkable results. As far as can be deduced from the restaurant’s web site, their beers are brewed at lower temperatures, around 8° Celsius. Therefore not strictly Dampfbier as such, but it might pay to ask them in person. 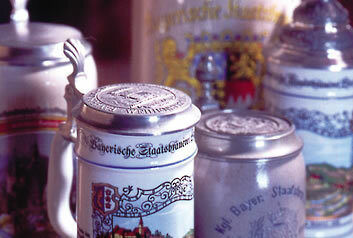 But, as they note at the bottom, they are still brewing them according to the Bavarian Purity requirements from 1516. 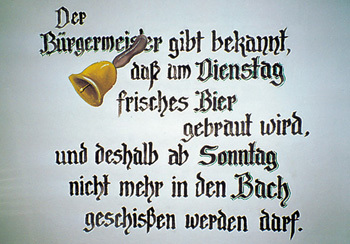 Translation: The mayor herewith gives notice that beer shall be brewed on Tuesday, therefore it’s forbidden to shite in the river from Sunday on! The restaurant not only offers traditionally made beer, but regional specialities sourced as far as possible locally and has music entertainment on most evenings of the week. They seem to enjoy a reasonable popularity and request table reservations if interested in coming on a particular day. If you’d be interested to view the brewery and restaurant, get in contact with us and we will do our best to accommodate your interests. Throughout the centuries, as the largest city in Germany, Berlin has enjoyed continued popularity amongst visitors and immigrants to Germany. 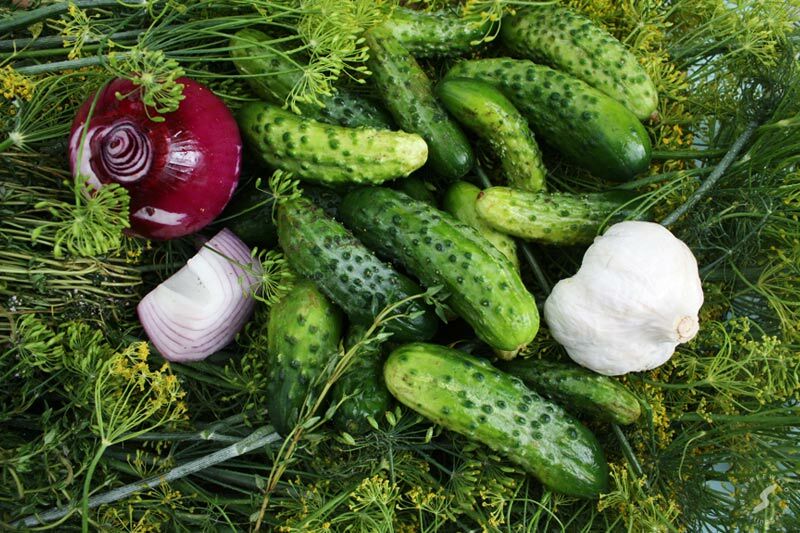 Immigrants brought their traditions, culturally and culinary, with them and have created a multi-faceted society that nowadays offers world cuisine on a plate. During your stay in the city on your Cosmopolitan North tour you will have plenty of opportunities to sample the local cuisine. That may be classic Prussian delicacies of Eisbein auf Sauerkraut (pork knuckle on sauerkraut) and Spreewälder Gurken (gherkins from the Spreewald region south of Berlin) with a glass of Berliner Weisse mit Schuss (wheat beer with a shot of either raspberry, lemon or woodruff syrup). Or go to the local beer garden and enjoy some bites of Rollmops and Buletten with a Molle! Marinated Herring, chunky hamburgers without the bun but with hot mustard and a glass of pilsener made by one of the local breweries! Strolling through the city you will also find lots of hot dog and kebab stalls selling you hot food to go! While the hot dog stalls will serve you a range of variations on the classic Currywurst, the kebab or döner ones will tempt you with the full range of their Turkish delicacies! As the Turkish community in Berlin is the largest one outside of Turkey, you will find that there are about 1300 Döner/Kebab stalls registered in Berlin, more than in Istanbul, and more likely to be one on every corner! 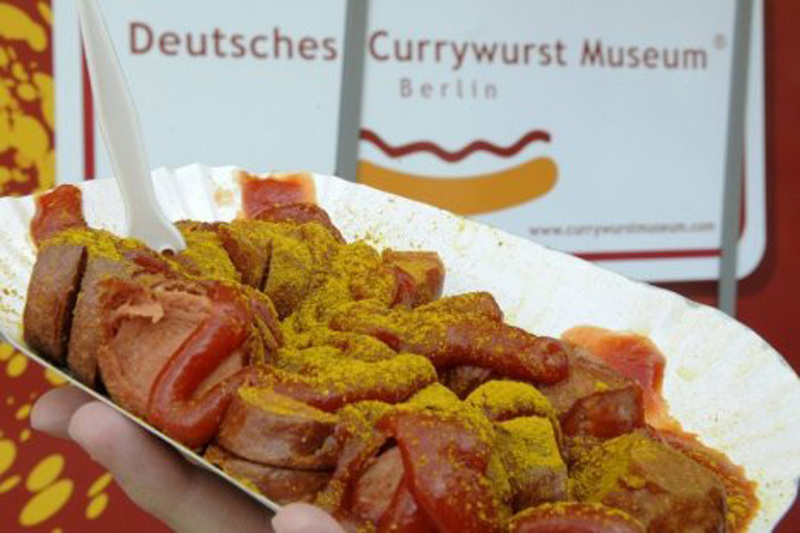 Whichever way your taste buds are inclined, you can be sure never to go hungry in Berlin. 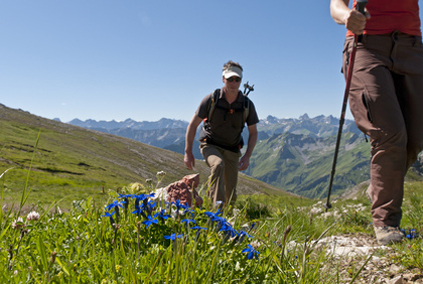 If you have any concerns during your tour with us regarding allergies or preferences, please make sure to let us know.